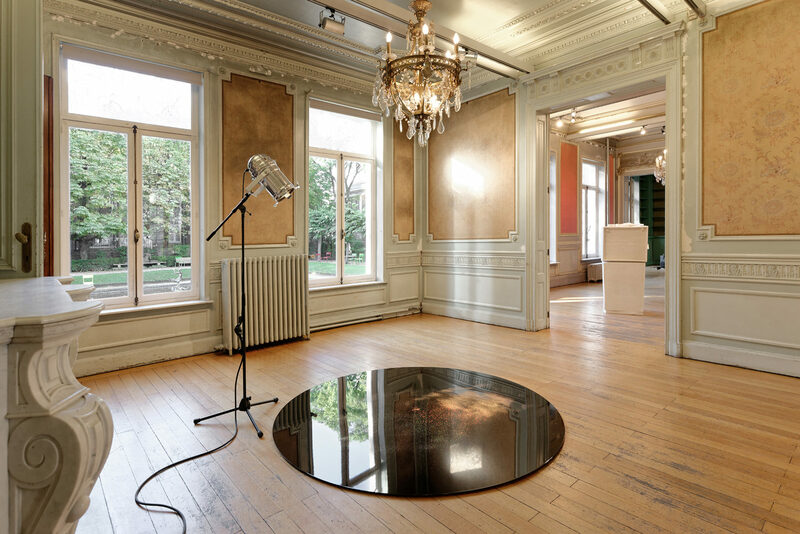 In this installation Champagne taste lemonade money, a circular disk, lit by a projector, sets the scene for a demonstration that isn’t there. 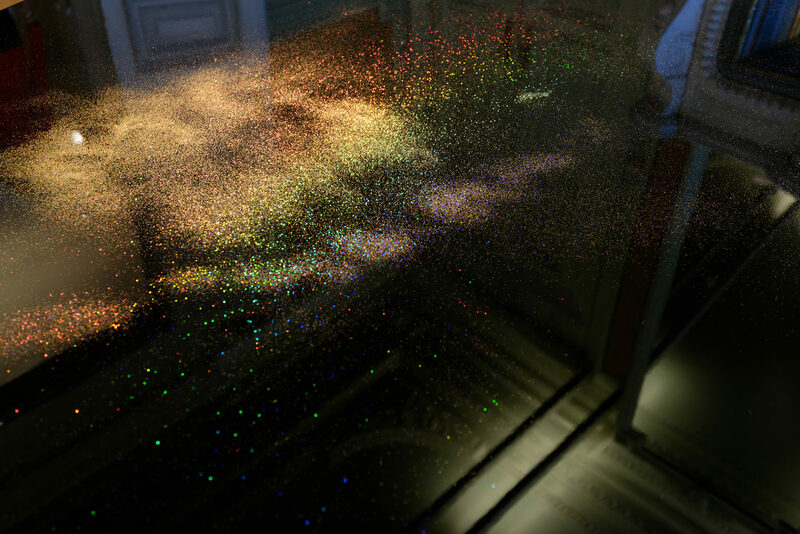 A handful of glittering flakes or sequin powder, is the only element viewers can focus on. A projector directs its beam on the scene. 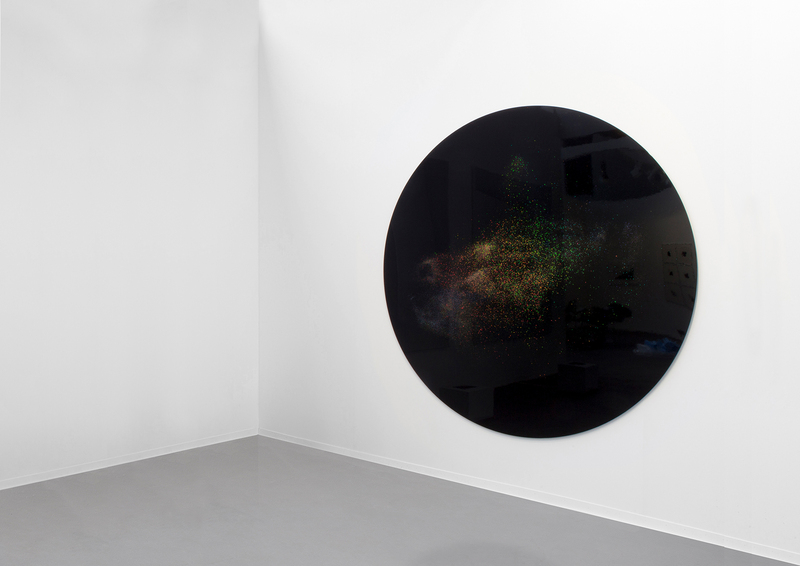 As the viewer moves, he/she will observe changing landscapes, the coloured flakes creating fleeting illusions. This is in direct contrast with the unalterable, inert circular mass beneath them. The title of the work underpins the contrast: “champagne” is the glitter, the world of luxury for grown-ups; “lemonade” the ordinariness and banality of daily life and childhood wanting to make the leap into adulthood. The resulting impression is one of pathos, incompatibility, separation.